We're having a party to kick off "Earth Week" leading up to Earth Day this year. 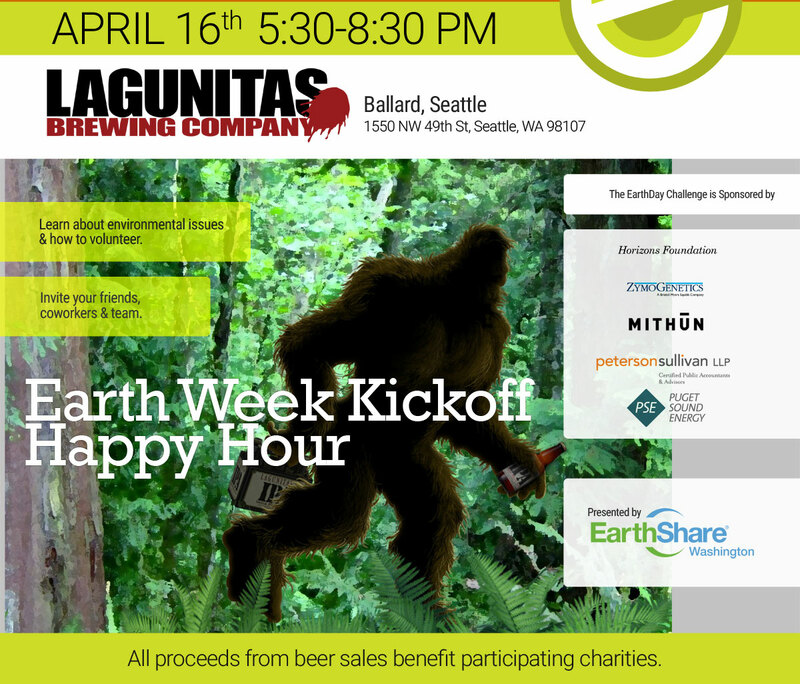 We'll be at Lagunitas Brewing company showcasing our member conservation charities and the volunteer opportunities they have coming up this spring. All proceeds from beer sales benefit the groups taking part. Come out and meet some of our great conservation groups working to make our communities greener and healthier. You’ll get a chance to talk with representatives from 10 environmental charities and find out how you can get involved this Earth Day and find volunteer opportunities throughout the summer. We’ll have food and prizes and all proceeds from beer sales go to the charities taking part. 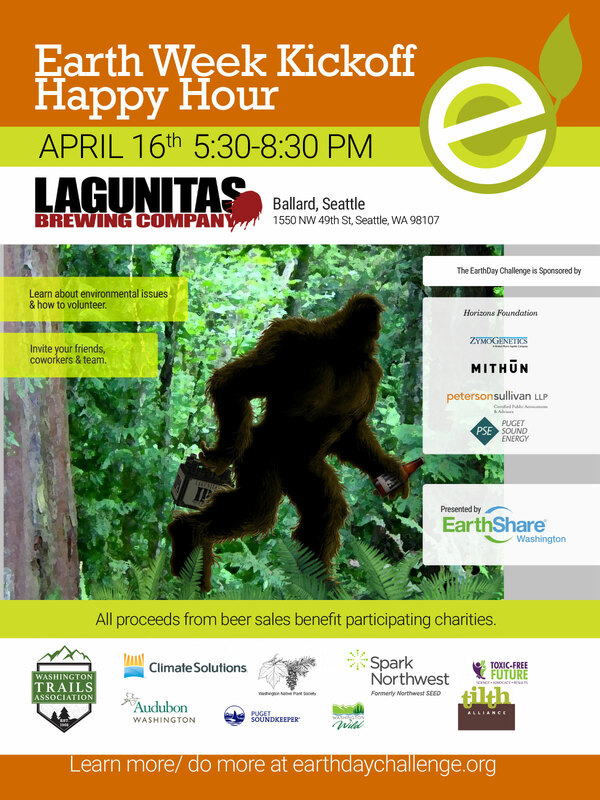 We’ll also have information from Puget Sound Energy and 3R Technologies to help you and your business take steps towards a more sustainable path. 3R Technologies supports EarthShare and its members through e-waste recycling events at local businesses.